Following an incredibly successful show with over 700 people in attendance and great reviews to follow, Paul and Vince were straight on to planning the 2 nd years show even though they had made a considerable financial loss which they expected in the early days. Continuing with the same theme, S-tan, Paul introduced another element into the artwork for the second show, that of the headliner. 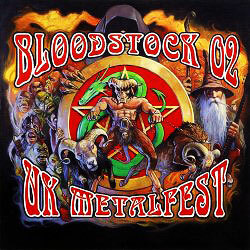 Paul had already done the artwork for Blind Guardian's 'A Night at the Opera' and a shirt with a similar theme for their headline spot at Wacken, so he was certainly going to continue the theme for Bloodstock. Paul says, 'Blind Guardian were brilliant to work with whilst he was doing their artwork and just the same as Bloodstock's headliner, top band, top guys'. 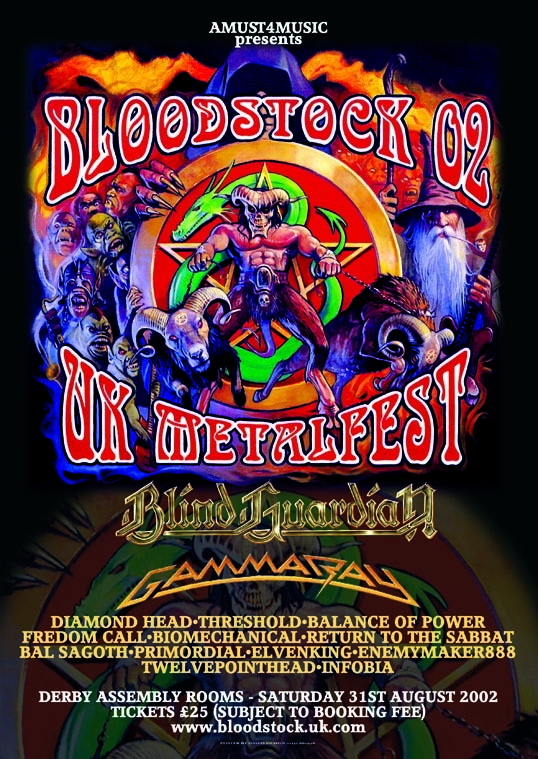 So with Blind Guardian headlining and Gamma Ray second on the bill the 2 nd Bloodstock was on its way to becoming a great lineup, hence, the festival drew a larger audience than the first year with approximately 1500 metalheads in attendance.